The fashion house Dolce & Gabbana is famous for its creations always very elegant but also very inspired of its country of origin: Italy. Thus, the Dolce perfume collection, initiated in 2014, gives us since its launch a very Sicilian image. This opulent floral bouquet was then followed by a cooler version, in 2015, named Dolce Floral Drops. Then, a year later, Dolce Rosa Excelsa put forward the scent of a pure and graceful rose. On this line, and as it is about a perfume of Dolce range by year, Dolce & Gabbana has decided to deliver a new perfumed breath for 2018. 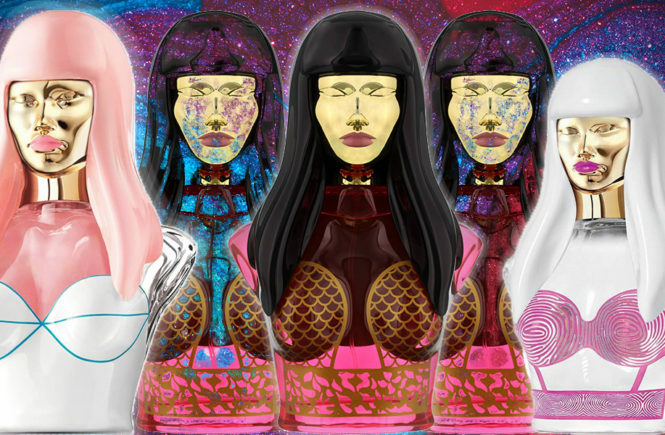 Welcome a new fragrance Dolce Garden. Like its predecessors, the perfume Dolce Garden offers us a sensory journey at the heart of the identity of Dolce & Gabbana, and more precisely in the depths of Sicily. For the creator of the brand, Domenico Dolce, Dolce Garden contains all “The nobility of the soul, the elegance of daily gestures, the joy of sharing from generation to generation, but also the obvious perfection of a simple white flower . Such is the image of Sicily that I carry in my heart, he says, and the image I have breathed into this delicate perfume. Dolce Garden is a floral and gourmet juice, radiant with pleasure and offering women a new experience fun and full of joy of life. Dolce Garden is inspired directly by a Sicilian garden in bloom. 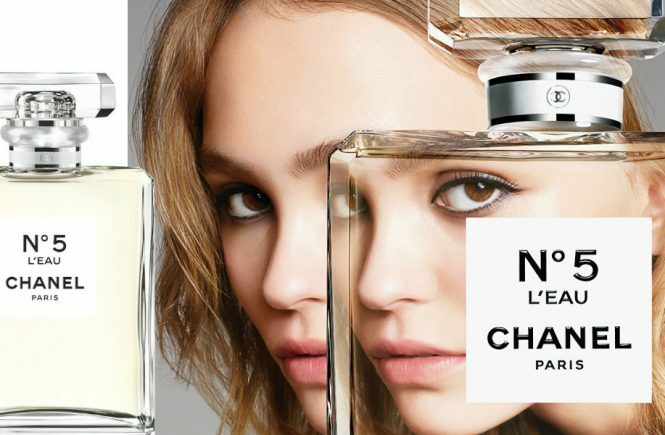 Thus, it evokes the Mediterranean sun and opens with a floral, solar and fruity association of mandarin, magnolia and neroli. This floral flight continues elsewhere in his heart but this time is charged with exoticism. It’s a bit like the sun is now at the zenith. Frangipani is associated with ylang-ylang and coconut. Moreover, it is precisely this fruit that gives this juice all its greed. This effect is further amplified by the presence of a sweet vanilla at its base. The almond milk envelops everything with a creaminess without half-measure. Finally, Dolce Garden is built by a deeper and mysterious wooded alliance. 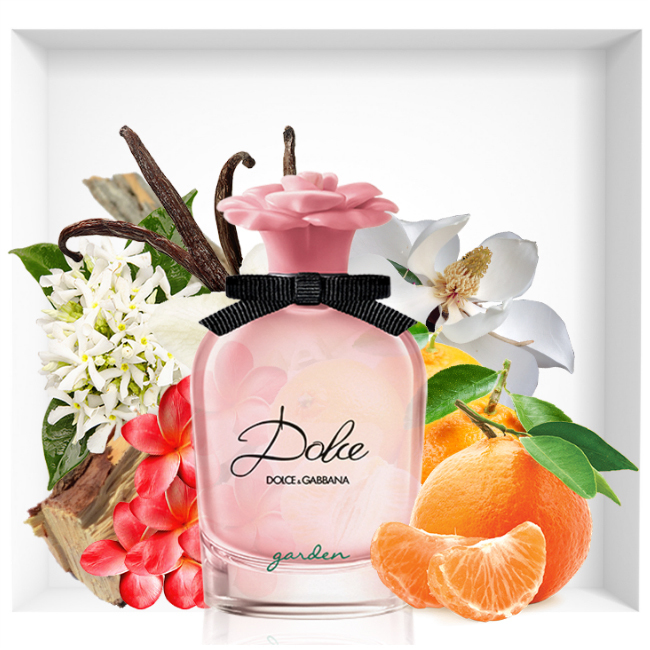 As always, Dolce Garden is presented in the iconic bottle of the Dolce & Gabbana collection. Its thick and transparent glass says a lot about its refinement. 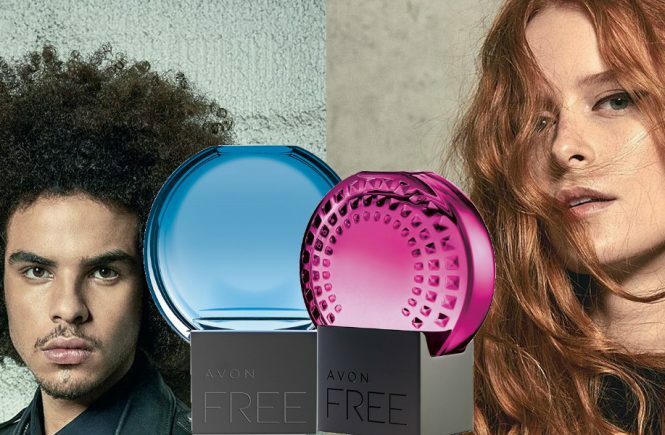 Its slightly curved lines, in turn, are in keeping with the feminine generosity. Dolce Garden offers a silhouette a bit retro but also contemporary. The purity of his glass reveals the beauty of a pink nectar. 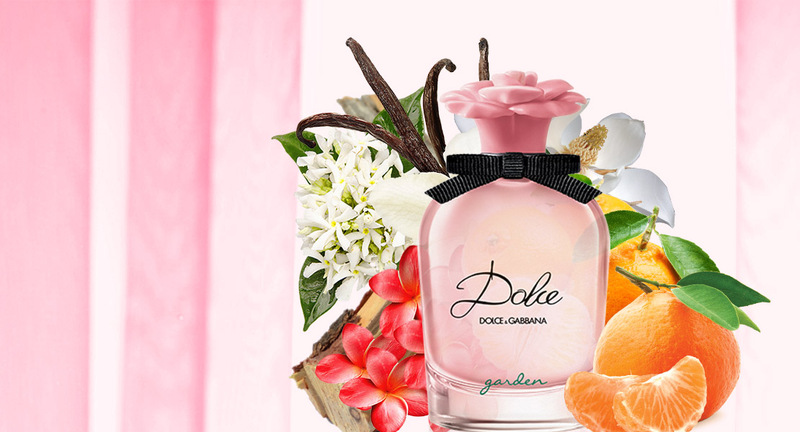 Thus, Dolce Garden undoubtedly appears as one of the most feminine fragrances in the entire collection. The set is surmounted by a flower-shaped cap paying tribute to Sicilian traditions, and more precisely to sculptures made in almond paste by the traditional pastry chefs of the island. Finally, an elegant black grosgrain ribbon is tied around his collar, in the manner of the bow ties that were once the signature of the first Dolce & Gabbana fashion shows.